The Standing Rock Sioux Tribe was not properly consulted about the Dakota Access Pipeline's construction, a UN official on indigenous rights says. The tribe's opposition to the project led to months of protests that were marked by clashes with police. 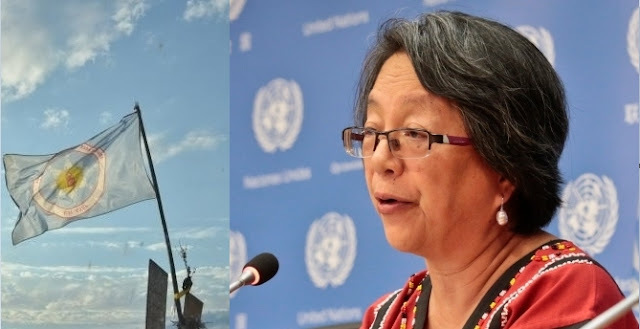 Victoria Tauli-Corpuz, the UN special rapporteur on the rights of indigenous peoples, said construction of the Dakota Access Pipeline (DAPL) over sacred tribal sites and through Lake Oahe, the Standing Rock Sioux's water source, was conducted with a lack of respect to the tribe's land rights. She said she is also concerned about how protests of the pipeline were met with aggressive police force. "My impression is that there was unnecessary use of force," Tauli-Corpuz told the AP. "Anybody has a right to protest and express their opposition to what is happening." Tauli-Corpuz made the comments following an official visit to the US to assess the impact of "energy development projects" on native peoples. She was invited to the US by Standing Rock Sioux Chairman Dave Archambault, AP reported. She said she will eventually recommend a full study of the DAPL's environmental impact. Her visit to the US included concerns over the Keystone XL pipeline, as well. This marks the second time in recent months that a UN official on indigenous issues has criticized the DAPL, particularly in how the US government approved the project without respect to the Standing Rock's concerns over health and human rights, as well as how local law enforcement handled protests. 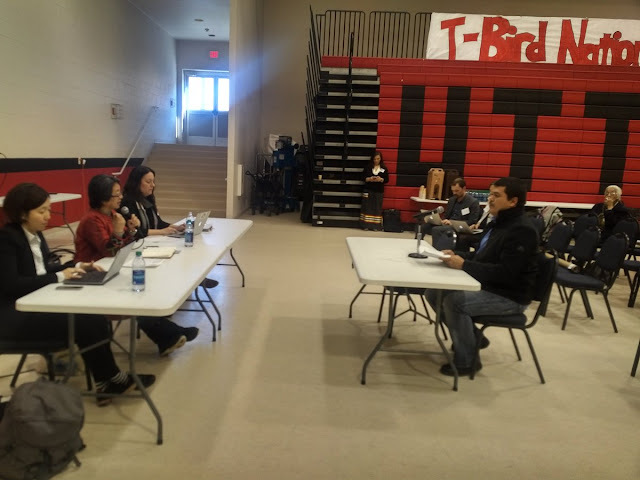 In November, acting on a request from the tribe, Edward John, a member of the UN Permanent Forum on Indigenous Issues, visited the Oceti Sakowin protest camp and other areas near the confluence of the Missouri and Cannonball Rivers in North Dakota. He also met with local law enforcement, he said. The escalation of law enforcement activity around the camps contribute to a "war zone" atmosphere, John wrote, recommending the US "swiftly reverse its current approach of criminalizing Indigenous human rights defenders – those standing up for their solemn treaty rights to lands, territories and resources and their inalienable human rights." Tauli-Corpuz previously called on the US to halt construction of the DAPL. 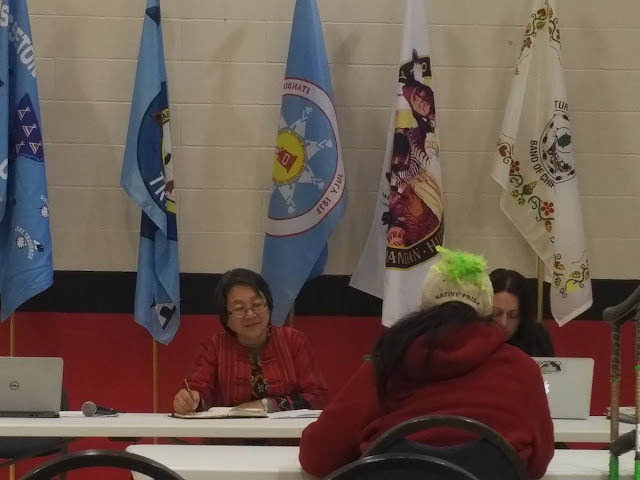 "The tribe was denied access to information and excluded from consultations at the planning stage of the project and environmental assessments failed to disclose the presence and proximity of the Standing Rock Sioux Reservation," she said in September. North Dakota Governor Doug Burgum defended his state's actions against DAPL protesters. "Through this ordeal, our law enforcement personnel have shown great professionalism and restraint as they faced taunts, verbal abuse, threats, thrown objects and even gunshots," he told AP. Energy Transfer Partners, the company responsible for the highly-contentious DAPL, says that the pipeline will transport 470,000 barrels of crude oil per day from North Dakota's Bakken shale fields to Illinois. Beginning last year, the DAPL incurred months-long protests originally led by the Standing Rock Sioux Tribe and set up along the pipeline's route, near the confluence of the Missouri and Cannonball rivers. The protests camps eventually attracted more than just Standing Rock Sioux Tribe members and those of other Native American tribes. In addition to tribal water supply concerns, the Missouri River is a source of drinking water to millions in the US. The DAPL also represents a continued dependance on fossil fuels, opponents say, which contributes significantly to global climate change. 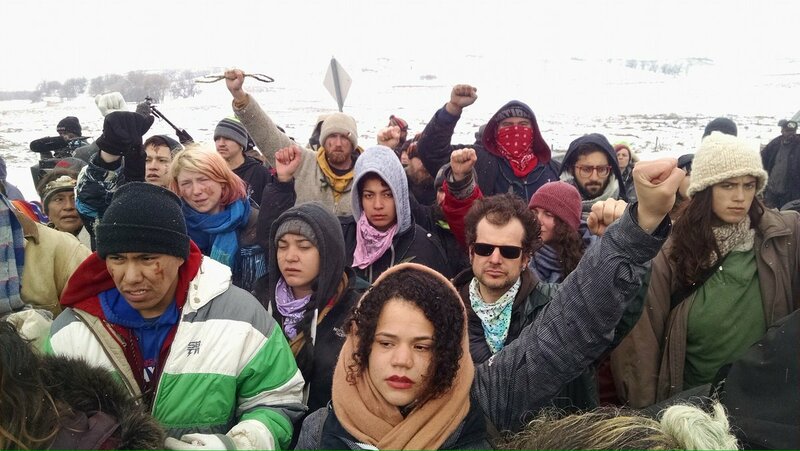 Thousands of people flocked to the area to support the DAPL opposition, leading to hundreds of arrests by at times aggressive, heavily-armed law enforcement. Late last week, protesters located at the Oceti Sakowin camp were either forced to evacuate or were arrested upon orders from local police. The Standing Rock Sioux has sued the Army Corps of Engineers and Energy Transfer Partners in federal court. The tribe claims it was not properly consulted on the project, which represented a threat to its health, based on the pipeline's route through its water source off the Missouri River. The tribe also says the project violates treaty rights agreed to in 1868 with the US government. The tribe has argued that the DAPL also threatens its sacred cultural and religious sites in the area. The defendants in the lawsuit dispute these claims. Responses to "UN official condemns Dakota Access for ignoring rights of Standing Rock Sioux "